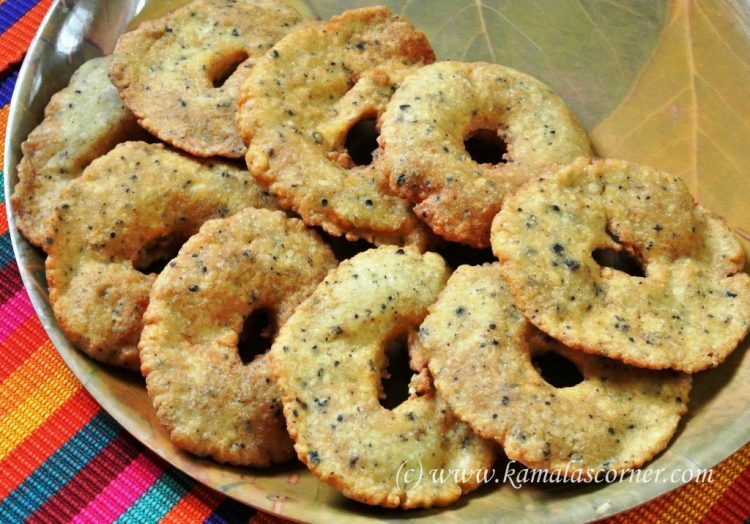 This Pepper Vadai is prepared at Temples and made as garland (Vadamalai) for Lord Anjaneyar. Soak urad dal in water for about 30 minutes. Drain the water completely from the dhal, clean it again with water and put it in a colander. Crush the pepper corns coarsely and keep aside. In a mixie put the soaked dal and grind it coarsely without adding any water. Put the dal dough in a plate. Add rice flour, pepper powder and salt. Knead well. In a kadai pour the oil and heat it. Take a small lemon size of the vada dough and put it on a thick small piece of wet cloth. Pat it by your palm and make it a thin round. Make a hole in the center. Holding the cloth in one hand, gently remove the vadai and put it in the hot oil and fry till it is half cooked. Remove from the oil and keep it aside. Finish all the dough like this. Finally add 4 to 5 half fried vadai again in the oil and fry till it become crisp and golden brown. Really you are my inspiration to start a food blog of my own. I recently came across many of your photos for Badam Halwa, Mixed veg raita, Vendhaya dosa & many more on Mangala’s Kitchen & felt very bad on seeing them on other’s website. I don’t really like our hard works to be stolen by others. I don’t know whether you are aware of this. This is for your info. Thank you for bringing to my notice about Mangala’s Kitchen. I am not aware that this site is using my photos without my knowledge. I have written just now through the Comment page to her. Hope it will not be repeated again.